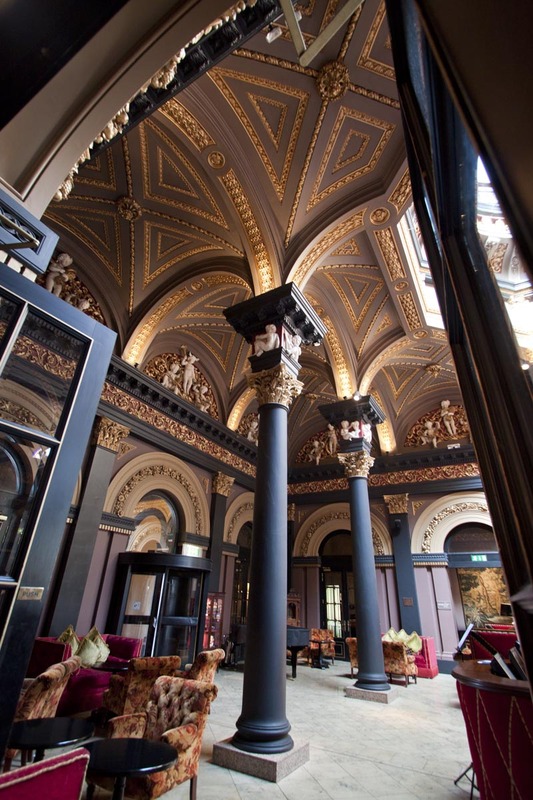 We really enjoyed our brief visit to the finest hotel in Belfast – The Merchant. This multi million dollar revamp of the old HQ for the Ulster Bank, complete with many of the original Italian fittings is truly exquisite! It even has its own art gallery! We went to The Bar for a late lunch and we were ecstatic to have fine dining in terms of portion size and not just in the flavours and presentation of the food : wild mushroom, truffle oil risotto; artichoke heart salad with rocket, semi-dried tomatoes, pine nuts. Perfect! And the service was impeccable, too. This entry was posted in Restaurants, United Kingdom Restaurants by bontaks. Bookmark the permalink.